You are in agreement that All About Slots will not be held liable in any way shape or form under any circumstances for any errors, omissions, losses or damage of any kind incurred resulting from the use of any information found posted on this site. It is solely your responsibility and yours alone to evaluate and consider all risks associated with the use of any content found within this site. This includes but is not limited to accuracy, the completeness of information and reliability. 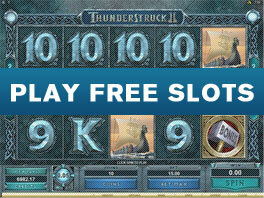 All About Slots does not decide whether it is illegal to gamble within the jurisdiction in which you live. It is your responsibility to determine the legality of online gambling based on where you live.